This is the third season for the Three Engineers. They failed to make their middle school VEX robotics team in sixth grade, so they formed their own team. They've won several tournaments, were runner-up at the Virginia VEX State Championship, and competed well at Worlds for In the Zone. As 8th graders, they hope to build on their positive experiences and strong team partnerships throughout the VEX community to be one of the top teams in the State. 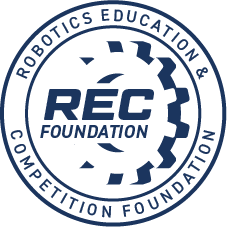 The Three Engineers are planning to participate in several tournaments while pursuing bids to the Virginia State Robotics Championship and the VEX World Robotics Championship.